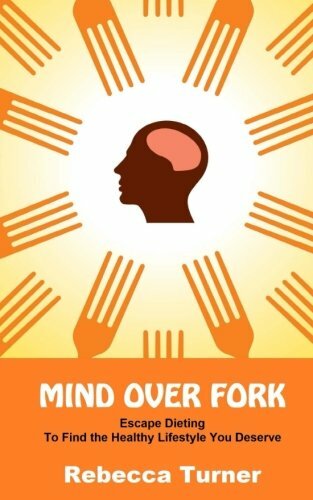 Mind Over Fork offers a holistic approach to health and wellness that focuses on nutritional advice, mindful meditation, and behavior modification. As a registered dietitian, Rebecca provides credible, yet practical information that goes beyond the plate to something more profound and more lasting. Unlike other diet programs, this book uses the mind as an access point to correctly identify what is holding the individual back and releasing unprocessed emotions towards food. This release helps people get unstuck in their health rut, increase their self-confidence, and achieve greater success in attaining the healthy lifestyle they deserve. The process laid out in the book will provide a lasting investment in self-development that goes beyond pounds on the scale. The mind-centered approach propels people out of stagnation and into action, ready to conquer the fork with five food strategies rooted in time-tested nutrition science and Rebecca’s personal experience. Eating healthy doesn’t have to be daunting or mentally draining with counting calories, stressing over grams and ounces; it’s just not necessary. In fact, that mindset leads countless individuals to give up on the hope of maintaining a nutritious eating plan. You don’t have to control every eating circumstance, but you can approach every meal in a balanced way. As one reads Mind Over Fork, they’ll find themselves being opened up to new possibilities, gaining clarity and the self-confidence to manifest a new healthier reality. Anyone who applies the techniques outlined in the book will transform their relationship with food and achieve greater well-being and overall satisfaction.